Wow…There are nearly 40 entries in the Golden Quill Poetry Contest! I’m thrilled that so many of you were brave enough to write something that may be out of your comfort zone and enter the contest…Thank You! I am in the process of going through them making sure that each poem has all the criteria required. There are a few people that forgot to add in 3/5 senses into the poem, so this will disqualify it. Once I have eliminated poems without the requirements, I will remove all names from the poems and send them to our judges. They will have a scoring system to critique each poem as fairly as possible. Once they are done, they will send me the tallied scores for each poem. In case of a tie, I will score the poems myself. In case of another tie, the winner will be the person that submitted their poem first, in order, for the contest.Due to the number of poems submitted, we will not be able to answer questions concerning poems that don’t win. Our wonderful judges are Jill Esbaum, Renee LaTulippe and Tiffany Strelitz Haber! I have three wonderful prizes ! Scholarship for From Storyteller to Exquisite Writer: The Pleasures and Craft of Poetic Techniques! Today’s guest blogger is someone I haven’t met but boy would I like to! She has been so incredibly gracious and friendly throughout this entire process. I have met such wonderfully talented authors while hosting and Jill has helped make my job so much easier. She has offered to help judge our poetry contest this week. I really appreciate that as we have so many wonderful entries. Thank you Jill for being here to share some of your insight into rhyming picture book writing with us! 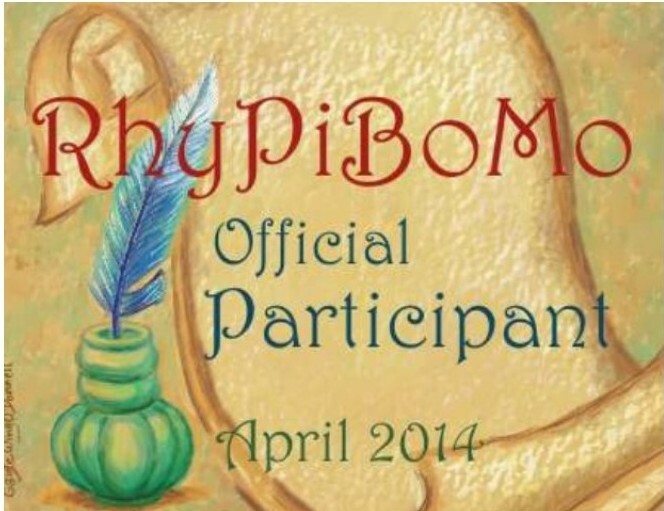 First of all, a huge THANKS to Angie for asking me to participate in RhyPiMoBo. I’m excited to hang here for a whole month with so many others who share my rhyming addiction. Genius idea, Angie! Today, I’d like to touch on the importance of choosing the most effective rhythm for a story. This was brought home to me recently when I critiqued a rhyming manuscript in which the writer had used a bouncy, lilting meter to tell a very sad story. The advice I give most often, as in this case, is to try writing the story in prose. While writing in rhyme is highly enjoyable (when you’re not banging your head on your desk), not every story is best presented that way. But if you have a lyrical – or goofy– story that begs for rhyme, be aware that the rhythm you choose can make or break it. The right rhythm helps create a mood, establish a certain atmosphere. Keep in mind, too, that within that chosen rhythm, your word and style choices can slow the pace or speed it up. To illustrate, here’s the opening of my first published pb, Ste-e-e-e-eamboat A-Comin’! The story is set in the 1860s and shows what happens when a steamboat visits a small, downriver town. The relaxed pace reflects the hot, lazy day and is meant to mimic wavelets lapping at a shoreline. Note that every line includes long vowel sounds that encourage the reader to slow down. See how plenty of short vowel sounds and punchy, unmodified nouns keep the reader moving along quickly? Through most of my newest book, I Hatched! (Dial, 2014, illustrated by Jen Corace), a rapid-fire pace reflects the energy and enthusiasm of a newly-hatched killdeer as he zips around his neighborhood. Bet my little legs are blurry! My next pb, I Am Cow, Hear Me Moo! (Dial, May 2014, illustrated by Gus Gordon), unwinds at a leisurely gait that feels, to me, like a cow swaying along. The meter doesn’t change through the story, but word and style choices make the pace pick up when something frightens Nadine (the cow MC) and she tears off to gallop through a dark, unfamiliar forest in a blind panic. She kept galloping, galloping, right off a . . . So take a look at your work in progress. Does the story’s rhythm pattern (beat, meter, cadence, or however you like to think about it) help create the tone, the mood, you’d intended? Do your word and style choices speed up or slow down the pace when appropriate? If you craft a story, rather than just pick an easy meter and rhyme your end lines, agents and editors will notice. And so will your future readers. 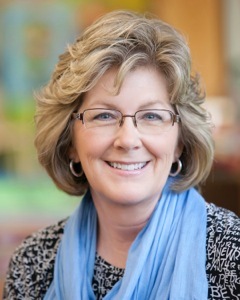 Jill Esbaum is the author of many picture books. Her newest rhyming story is I Hatched! (Dial). Her Tom’s Tweet (Knopf) and Stanza (Harcourt) are/were nominated for state awards, and Ste-e-e-e-eamboat A-Comin’! (Farrar, Straus & Giroux), was an IRA Notable Children’s Book. Her next rhymer (due out next month) is I Am Cow, Hear Me Moo! (Dial). 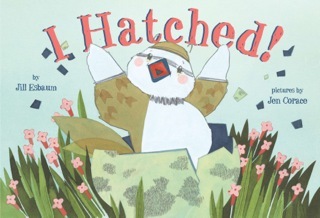 Jill’s latest rhyming picture book, I HATCHED!, was named a NYTimes Editor’s Choice (2.23.14). In April, National Geographic will release her ANGRY BIRDS PLAYGROUND: RAIN FOREST, and in June, her two titles in their new Explore My World series, PENGUINS and SNOW LEOPARDS. 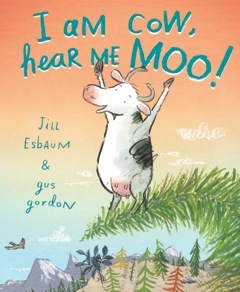 Her next rhyming picture book, due from Dial May 15th, is I AM COW, HEAR ME MOO! First, we are going to examine the beginning of a story called Granpappy’s Grizzly. This is a work in progress but I had a good critique from an editor who liked the hook, the character and plot set up in these first paragraphs so I thought I’d share this as an example. The sun-dried leaves on the old mountain trail crackled as I heard that grizzly bear comin’. I held my breath, stayin’ as still as a pine board on a barn so I could hear her footsteps. I waited out there ‘til the clouds turned violet and my fingers ached. Most boys my age would be a fearin’ a grizzly but not me. Granpappy’s grizzly doesn’t scare me one bit! She is solitary though, doesn’t come around for me to see her…well, ever actually. But I’m bound and determined to see her this winter! I sat on my lookout-log countin’ snowflakes that looked like cottonweed justa’ spittin’ outta’ the sky, when suddenly, I caught a scent of persimmon tobacco swirling up the mountain. It was from Granpappy’s pipe. If he was nearby, so was his grizzly. The fur tree’s branches “SHOOK WITH DELIGHT” as Granpappy peeked through them. His voice always reminded me of a saw cuttin’ through a log. “Hey there, sir,” I said anxiously. “Where’s your grizzly? “Aw, she’s laggin’ behind but she’ll be around before the moon glows. Granpappy walked with an old cane he whittled from the first tree he ever axed. It was old and worn and strong, just like him. “Come on in out of that mean, winter blow,” yelled my mama through the screen door, cracked open just enough for her voice to squeeze through. Granpappy left tracks as he made his way to the house. I stood, peekin’ through the fur tree branches, hopin’ to catch a sight of that grizzly tonight. October always brought Granpappy and snow up the mountain for the winter. The snow stayed until March and Granpappy stayed until April. Pa said Granpappy should have come up the mountain last week, before the snow, but he was set in his ways. That grizzly was set in her ways too ‘cause she never came ‘round where I could see her…not yet. The breakdown of each necessary element of the hook, characters and plot helps to show you where these are in my manuscript. I hope your answer to the questions were yes, but I mainly put those there to help you think about what the reader is feeling. I have broken down each important part with different colors for you to see how it is included above. Study this so you can apply it to your manuscript. While this manuscript isn’t rhyming, notice all the poetic techniques used in it. I purposely chose this text for that reason as I hope that you will apply what we have learned to all of your writing…not just the rhyming manuscripts. The first sentence must grab the reader by the heart and hold on tight! There’s a darn bear coming…of course you want to read more! When is this scene occurring? Why should I continue reading? The reader is rooting for the main character to see the grizzly and/or not be the grizzly’s dinner! Is there tension or conflict in the beginning? Yes, initially he is standing still to hear the footsteps but the reader doesn’t know that and thinks a grizzly may be approaching; a potentially dangerous situation. He states that he isn’t afraid of the grizzly but there is certainly anxiousness and anticipation of seeing her arrive. I color coded everything so you can see where each piece of the puzzle is. Go back to your manuscript and color code the different parts needed. The most important part of any picture book is the hook! You must grab your reader right from the beginning. Once you have the reader invested in the story, you can work on keeping him interested. We will talk about that more tomorrow. The hook must create immediate tension, ask a question or find a way to allure your reader into the story. The hook sets up the entire scene, makes way for the plot and opens the door for the characters to shine, flawed and all. When creating characters for a story, I tend to think of someone I know and assimilate their traits, mannerisms and personality quirks. I might use a phrase that that person might say or refer to them in a certain way that gives them an edge or uniqueness to their persona. Li’l Bo, Mama and Pa are molded after an Aunt, Uncle and cousin of mine and Granpappy is my grandfather. They all grew up and lived in western Kentucky and had a very southern twang to their dialect. That voice comes easily to me because of growing up around them, although I don’t have that southern accent at all. I imagine how they might say something or what they would think about a certain situation. It is important to keep your characters interesting but not perfect. Give them flaws. We all have them and that makes a character more believable, more relatable and more fun. The plot of a story must be well thought out. Must have a beginning, middle and end. The plot uses cause and effect to get the reader from point A to point B with some excitement and surprises along the way. Think of your manuscript as if it were a play that is to be performed by actors. You must give your audience a reason to stay in their seats, watching the story unfold. You wouldn’t stay at a play that was boring and without incident. You would either leave or fall asleep. For a reader, it’s easier than that…they quit reading and close the book. BOOM…DONE…MOVED ON…without looking back. Give the reader a reason to stay! We will delve into this much deeper tomorrow but ultimately, you must write the story that you want to read! I love this quote but I don’t know who said it… “For the reader to cry, the writer must cry.” That was very moving for me when I read it the first time…and so true! Mix it all together carefully and don’t leave any lumps! Bake for a loooooong time in your revision/critique group oven. Take it out of the oven to cool for at least a week. Now it’s time to frost your picture book cake. It should be covered and layered and oozing with joy, sorrow, excitement, eagerness, and sprinkled with candy coated lyrical words, descriptive word choices, delicious rhythm and multi-syllabic rhyming words for good measure. Now, it’s time to test it out…offer a piece to a group of children in your target age and see it they like it. The true test…do they ask for more? Writing Prompt: write out the recipe for your manuscript. See if it has all the ingredients that are needed for a delicious picture book cake of your own. 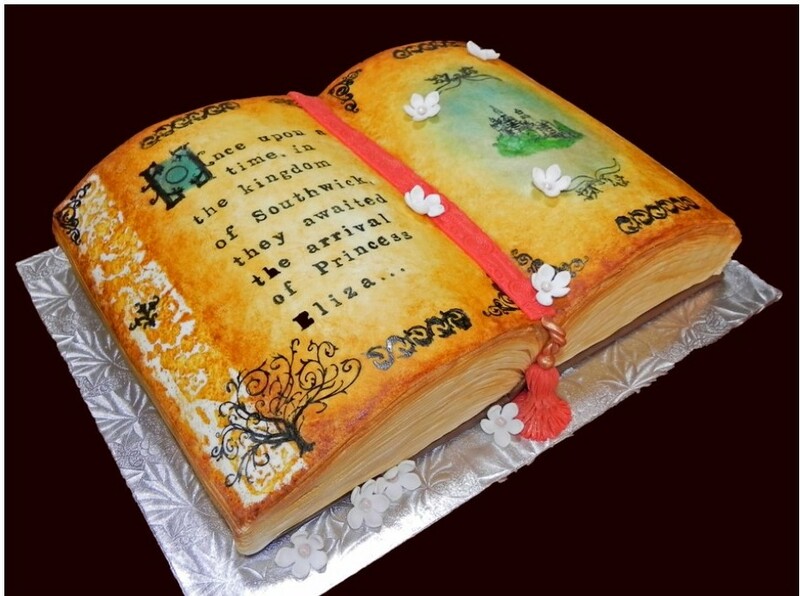 Er, how many calories in that Picture Book cake? I think I’ll have some MORE!!! I plan to pass around the picture book cake in my critique group next month- It’s delicious! Thank you, Jill, for your wonderful examples of pacing poetic rhythm appropriately. Thanks, everybody, for the sweet comments (can’t get my mind off cake now, Angie). I can’t wait to get all my colorful highlighters out and see if my story has the right ingredients. Just drove back from Philadelphia and am still feeling drained. Can’t wait to do more with these prompts than read them. I really like what Jill hit on regarding matching your words and rhythm to the tone of the story. I’d like to perfect that skill and even utilize it within one manuscript. Being able to slow down the story just by word choice, then pick it up again, and then slow it down is a captivating way to keep a reader’s attention. Another thing to add to my “get it right” list. Thank you Jill and Angie…wonderful information! Lovin’ your color coding organizational tips to make sure all the pieces are there! Gonna go back myself some picture book cake! I’m hungrier than usual this month with lasagna and cake! Great info. on word and style choices and how they can shape a manuscript! I so agree that there should be poetry in our writing pbs, even when they’re not rhyming picture books. Thanks, Angie and Jill, for some more important thoughts here. What a great post by Jill Esbaum! The markers do help. Will use them more. I’m busy cooking up a storm for moisture book. What a fun idea! Going to bake a colorful cake! Thank you for this brilliance. Thank you for helping us to see those essential picture book ingredients, Angie! I am late to comment, but determined to catch up on your posts and reread them all.